Looking for a gutter replacement company in Woodbury, Minnesota? No one beats the quality service and affordable pricing at Minnesota Leafless Gutters. At Minnesota Leafless Gutters, gutters are our specialty. Don’t let other general contractors fool you. Just because they can do gutter replacements, doesn’t mean they should. When you want expert service, come to our professionals who know gutter systems best. Our gutters are all custom made right on site using only high quality metals. We install leafless and seamless gutters and have the best installers in Minnesota. Until you notice an issue with your gutters, most of us don’t think to look and examine them. 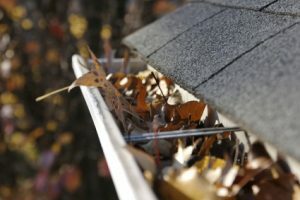 At Minnesota Leafless Gutters, we take a look at all aspects of your gutters before replacement. No matter what your reasoning may be for replacing them, we will assess the best options for you. Gutters do a lot for your home. They prevent water from running underneath the shingles on the roof, they help rain find its way down once the snow melts in the winter, and they keep water away from your home and draining systematically so that your foundation or basement isn’t at risk for flooding. Bottom line, gutter systems do a lot of work when it comes to protecting your home. Therefore, you need a contractor that is qualified and can get the job done right the first time around. For over 17 years, Minnesota Leafless Gutters has been performing gutter replacements for homes and businesses all over Woodbury, MN. We feel privileged and delighted to have made so many friends and to have been endorsed by so many of our neighbors. When you choose Minnesota Leafless Gutters, you are choosing knowledge, experience and expertise at an affordable price. We will come out to your home and evaluate which gutter system is right for you based on both your property and your budget. Our goal is to give you what you want at a price you can afford, all while maximizing the functionality of your gutters through placement and installation. We are so confident in our gutter systems that we offer a lifetime transferable warranty in labor and materials for all of our services. So, if you are looking for a gutter replacement company in Woodbury, MN, stop looking and start calling Minnesota Leafless Gutters today. We offer a wide selection of gutter materials, colors and styles to suit all of your needs. For more information about our company and our gutter replacement services, give us a call today at 612-221-0362.